Can you imagine swimming with a 14-meter-long animal? 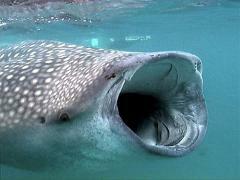 Whale sharks, the biggest fish in the world, come every year to visit Holbox. And you can swim with it! Can you imagine swimming with a 14-meter-long animal? Whale sharks, the biggest fish in the world, come every year to visit Holbox. And you can swim with it!. Have your private and unique experience.